Hibiscus Island is an exclusive guard gated residential neighborhood in Miami Beach. 4 Bedroom Tropical Oasis with well-appointed layout. This family oriented neighborhood is home to its own private park, basketball and tennis courts. Hibiscus Island offers easy access to hotspots of South Florida whether its the Beaches in South Beach, Business in Brickell or a day in the Museum/Arena District. 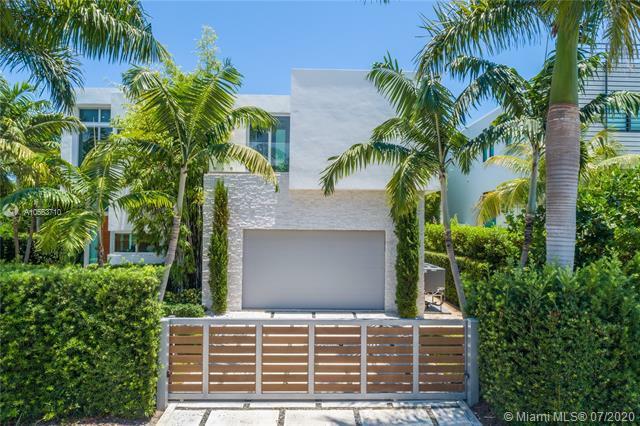 Fully renovated 4 bed/3.5 bath contemporary home located on gated Hibiscus island. This home embodies elegance featuring hardwood bamboo flooring throughout, Italian doors 90 solid wood, all marble bathroom, new Italian kitchen with quartz countertops & stainless steel appliances, new HVAC, new driveway, and impact windows. Outdoor oasis includes a salt water heated pool, summer kitchen & BBQ area, and General natural gas generator powering the entire house. Enjoy this oversized 10,400 sq. foot lot boasting 360 degree yard space and immense foliage surrounding the home for complete privacy. Fully renovated, modern 4 bedroom, 3 bathroom home located on a large corner lot on prestigious Hibiscus Island. Open living, dining and kitchen areas perfect for entertaining. Fully gated and private backyard with large heated pool, hot tub, generator, covered outdoor patio, and built-in surround sound throughout. Located just minutes from South Beach and Downtown Miami. Esclusive location. Amazing bay view from the private dock! Guard gated community. Charming house with open floorplan, terrazzo floors, spacious kitchens, laundry room, master bedroom on the second floor with beautiful balcony facing the bay. Dock with lift up to 35ft, pool and outside patio. Hibiscus and Palm Island have access to a park with tennis, basketball, playground and climbing wall, and soccer area. Available now! Single family property for rent on annual basis. Waterfront with boat dock. Enjoy 80 ft of waterfrontage and breathtaking panoramic open water views on Hibiscus Island . Beautiful marble floors flow throughout this 6 BD/4+2 BA home that features 4,156 SF of living space, an oversized private balcony off the master & pool deck which boasts a complete summer kitchen. Open floor plan & plenty of outdoor space bordered by lush landscaping make for great entertaining. Enjoy the best of both worlds within just 5 minutes of Miami Beach and Downtown Miami. New Contemporary Home on Guard Gated Hibiscus Island for Seasonal or Annual Rental. Fully Furnished and ready for immediate occupancy. Bring your toothbrush and clothes. Easy to show. Call LA for showing instructions. Casa Babette : Very Charming 2 Story Mediterranean waterfront home on exclusive Hibiscus Island , a gated resort-like community with 24hr security, childrens playground , tennis ,basketball & racquetball courts. As you enter , vaulted ceilings, keystone fireplace, hardwood floors & tiles throughout gives this home a resort style setting with 3 beds 3.5 baths in the main house & separate 1/1 guest cottage. Private courtyard, outdoor kitchen, pool, dock, patio. Spectacular views with 60 waterfrontage. Stunning 5 BD/5 BA waterfront home with 105 of water frontage and downtown sunset views. Floor-to-ceiling windows, spacious 2-story formal living room, formal dining area with wrap-around views of the gardens and pool. Eat-in gourmet kitchen, Upstairs bedrooms offer privacy and picture perfect views, oversized master suite w/marble bath. Heated pool with outdoor kitchen, and dock. Stunning contemporary 6 BD / 6 + 2 half BA waterfront home on Hibiscus Island w/ westerly wide bay sunset views. Open living, dining and kitchen with Miele, Wolf & Subzero appliances, built-in bar, movie theatre with leather recliners, gym & outdoor kitchen. All bedrooms on 2nd floor have balconies w/ water view. Heated infinity edge 12ft lap pool, shallow sun area & hot tub w/ fire pit. Expansive rooftop lounge w/ 360 degree views. 85 ft of water frontage w/ boat lift & dock. $100,000 ANNUAL RENTAL ONLY. Welcome home in exclusive Hibiscus Island. Spacious living areas with 3 bedrooms & 3 baths plus office/den (4th bedroom) in this magnificent family home. Travertine marble floors from Italy and carpeted rooms, formal living and dining, family/media room, eat-in kitchen with stainless steel appliances, granite countertops, double ovens and wine cooler. Sizable master boasts walk-in closet with built-ins. Oversized, corner lot. Enjoy the shimmering pool, covered patio and lush yard, excellent for entertaining. Its luxury living at its best and easy to show! One of Miami Beachs most sought-after, guarded communities. Hibiscus Island Dream Lot totaling 9,750 SF. Lot dimensions are 78 x 125. There is an existing 4 Bedroom house on this expansive lot which can be rented while plans are drawn. Hibiscus Island is an exclusive guard gated residential neighborhood in Miami Beach. This family oriented neighborhood is home to its own private park, basketball and tennis courts. Hibiscus Island offers easy access to hot spots of South Florida whether its the Beaches in South Beach, Business in Brickell or a day in the Museum/Arena District. This totally renovated and updated home has all the top of the line appliances and features you dream of having Sub Zero, DCS and Bosch. The Kitchen, Master Suite , Master Bath and Closet that will be unmatched in any house in this price range. The house sits prestigious guard gated Hibiscus Island with a Park & Tennis Courts. A large corner lot with room for a large pool and is perhaps the greenest on the island with avocado, mango and banana trees. Five minutes from South Beach and Downtown. Fully renovated 4 bed/3.5 bath contemporary home located on gated Hibiscus island. This home embodies elegance featuring hardwood bamboo flooring throughout, Italian doors 90 solid wood, all marble bathroom, new Italian kitchen with quartz countertops & stainless steel appliances, new HVAC, new driveway, and impact windows. Outdoor oasis includes a salt water heated pool, summer kitchen & BBQ area, and Generac natural gas generator equipped to power the entire house. Enjoy this oversized 10,400 sq. foot lot boasting 360 degree yard space and immense foliage surrounding the home for complete privacy. Hibiscus Islands finest contemporary home on an over size corner lot. The home was delivered in 2018 with no expense spared as was custom built for the owner. 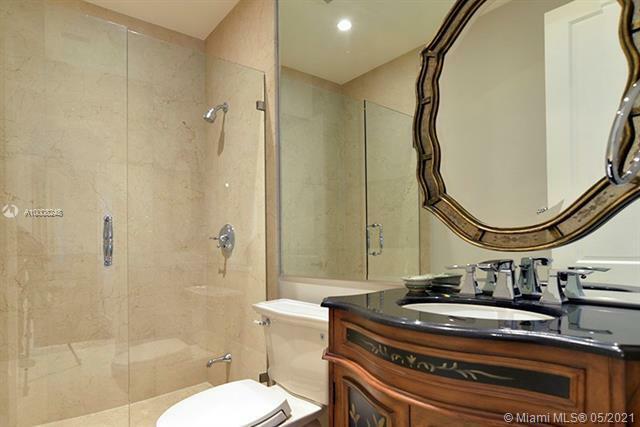 Italian marble line each bathroom along with skyline views from the roof deck. Custom Italian Kitchen along with Bespoke finishes makes this home the best Non waterfront home on Hibiscus Island. **As seen on The Real Housewives of Miami** This Spanish style gem is everything you want in a house. it isunique, has a lot of charm and so much space. It is right on the water so the view is gorgeous and has room topark boat/jetskis. 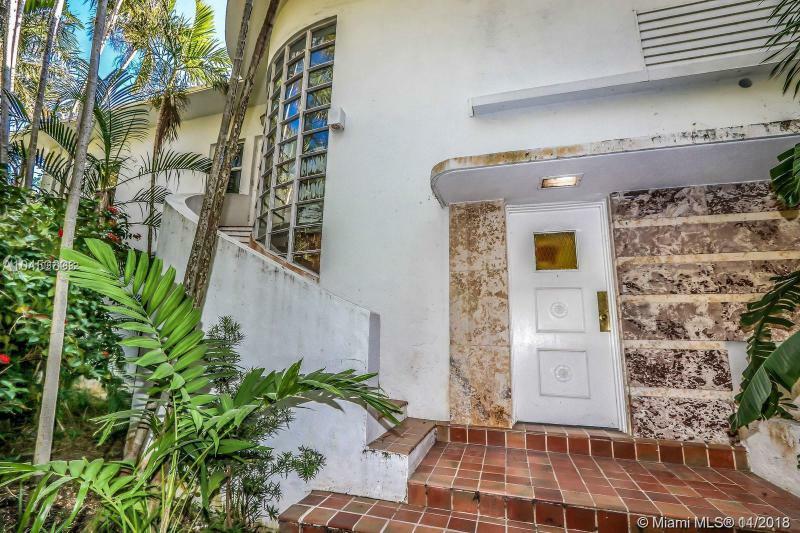 This house is located in an exclusive island right in the center of South Beach and DowntownMiami (near the American Airlines Arena). This is the perfect location!! Lushly landscaped and strikingly modern two-level turnkey residence located in Hibiscus Island on a prime 9,500 sf corner lot. Combining functionality and design, it has an adj. area of 4.090 sf., 5 beds and 5.5 baths with glass walls that overlook the resort-inspired backyard. This tropical oasis features an inviting pool, fire pit, grill and lounging areas. Upstairs is the clean-lined master bedroom with 2 walk-in closets and spa-like bath, two guest bedrooms and a bedroom converted into a fitness room. Highlights include an open kitchen with upright wine cooler, office, two-car garage, rooftop terrace and more. Casa Babette : Very Charming 2 Story Mediterranean waterfront home on exclusive Hibiscus Island , a gated resort-like community with 24 hour security, childrens playground , tennis ,basketball and racquetball courts. As you enter , vaulted ceilings, keystone fireplace, hardwood floors and tiles throughout gives this home a resort style setting with 3 beds 3.5 baths in the main house and separate 1 bedroom /1 bath guest cottage. Private courtyard, outdoor kitchen, pool, dock, patio. Spectacular views with 60 waterfrontage. Near South Beach and downtown. Live the Miami Beach lifestyle on the exclusive guard gated Hibiscus Island, a boaters dream. Dock your yacht in your own backyard, just minutes from Downtown Miami & Miami Beach. Showcasing:5,075 interior sq. ft., 4 bedrooms, 4.5 baths, marble & wood floors throughout, spacious bedrooms, kitchen with an island, elevator, electrical hurricane shutters. This lovely house has 10,500 sq. ft. of land with 60 feet of water frontage and a newly built private dock. Enjoy majestic Southeastern water views of the sunrise and sunset from the large patio area with a pool overlooking Palm Island and the Miami Skyline. Visit this exceptional offering! Easy to show. Largest build able Lot totaling 15,750 sq ft on Hibiscus Island with 90 of Frontage. Brand New Sea Wall w/a new Dock and New 20,000 LB Boat lift. Can build your dream home up to 7500 sq ft. New homes on this size lot are selling for 18m. Lot size is 90x175. Situated on an oversized 21,000 SF lot with unobstructed wide open bay views and 122 ft of water frontage, this home on the prestigious and guard gated Hibiscus Island has great potential. With 16,170 total sqft, this home features panoramic views throughout, 7 bedrooms, 9 + 1 bathrooms, large pool, spacious backyard, and private dock with boat lift. Live in the heart of Miami Beach in close proximity to world class restaurants, shopping and beaches of South Beach, Downtown and Wynwood. Newly updated Mediterranean home on prestigious Hibiscus Island with neighborhood park and tennis courts. Gated island guarded by Miami Beach police ensures privacy and security. Facing south with stunning views of the downtown Miami skyline. This six bed room, six and half bath spacious home on a double lot with mature landscaping is perfect for entertaining family and friends. Minutes to airport and to South Beach. Development opportunity. Build a custom 10,000+ SF home on private, guarded, and gated Hibiscus Island. This 21,000 SF double lot offers 120 of water frontage with boat docks for 60 yachts or greater. Southwest views of the Downtown Miami skyline. The centrally located Hibiscus Island community includes private recreational areas, 24-hour security and easy access to both South Beach and downtown Miami. This offering includes both 266 and 270 S Hibiscus Drive. Existing properties to be demolished. 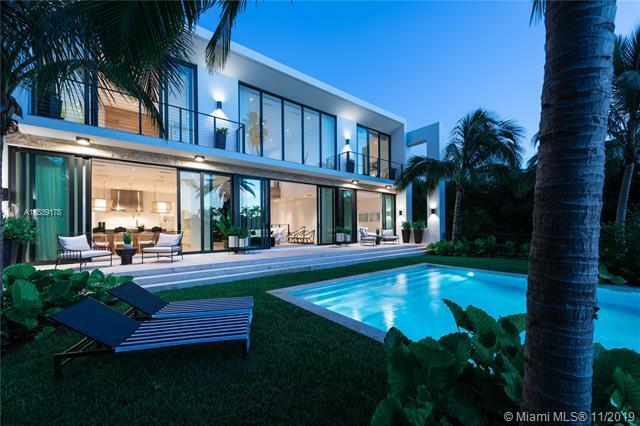 Stunning tropical modern 5 bed and 5.5 baths home located on renowned Hibiscus Island with Southern exposure and Miami skyline views. Large telescopic sliding doors at rear create indoor outdoor living.Open floor plan, master suite with balcony overlooking the Bay, large walk-in closets, soaking tubs and luminous natural lighting. Completion summer 2019. This sleek ultra-modern tri-level waterfront masterpiece sits on the coveted tip of Hibiscus Island. Impeccably designed w/exquisite porcelain & oak wood floors, open living, dining & family areas w/spectacular unobstructed views to bay & Miami skyline. Gourmet kitchen w/top appliances, custom bar & movie theater. Heated infinity edge lap pool, Jacuzzi w/fire pit feature, expansive rooftop lounge with 360 degree views to bay & city, dock/boat lift, 85FT of WF & stunning sunset views complete this home. An ultramodern oasis, built on a double lot in 2016. The 05 bedroom residence was developed with state-of-the-art home technology and impeccably designed to enjoy the serenity and beauty of island living. Marble and wooden floors are paired with bright accents and light pours into every room. Standout features include a kitchen with top-of-the-line appliances, an in-home theater and space integration through the latest connectivity systems. All lower level areas open fully to create a single indoor/outdoor living space with the water as a backdrop. An infinity-edge pool flanks the homes interior spaces and 122 feet of water frontage allow for two docks, which can be used for one large yacht or two boats. The rooftop, fully equipped w/its own gourmet kitchen, offers stunning ocean views.